Reading Knights Korfball Club | Korfball. Compete. Socialise. This marks the end of a fantastic season for the Reading Knights Korfball Club, both on and off the court. This year we have had our highest membership number ever, with 34 members. Hopefully we can continue to improve on that next year! We finished in 3rd place in Division 1 of the OKA League, winning 6 out of our 10 games. Elliot Baker (22) & Stuart Hyslop (16) finished as our two top league scorers. We also finished in 3rd place in the Chris Carter Memorial Cup, beating Didcot Dragons 1 in the 3rd/4th place playoff. These are both fantastic achievements for the club! Furthermore, our student team came a very respectable and club-best 11th in the BSKA Student Nationals held in UEA, beating Cambridge & Leeds Universities along the way. Tournaments – We have entered both the Croydon & Nomads Korfball tournaments this summer, and will be looking to enter more as the summer and the year goes by! Next year, we see a lot of our more experienced players leaving us, and to you, we wish all the best of luck! This of course means we will be looking for a big intake of new players for the upcoming season, starting in October. Please feel free to contact the club (links provided below) if you wish to give Korfball a try, everyone of all abilities, both students and non-students are welcome! So, here’s to another great year of Korfball! After the long summer break, Korfball is back! We headed down to Southampton to sharpen skills prior to the start of the new season. First up was a well organised looking Basingstoke. To say our shooting was a little bit off target would be quite generous – lots of work needed on that at forthcoming training sessions (starting this Thursday by the way – see training info for details!). Despite this our work rate was good – and we kept the defence tight. However, we could not quite match them in attack and they ran out narrow victors 10-7. Thanks to Southampton for organising and well done to all who took part. Prepare yourselves – the new season is here! Training starts again October 4th at SportsPark – see you there! Welcome to the home of Reading Korfball. We are currently having a bit of a break over the summer, but will soon be back to training on a weekly basis and regular matches in the Oxfordshire korfball league and student competitions. Training will restart in early October after the start of the new term. To get an idea of what this sport is all about – have a look around our website and to keep up with all the latest news please join our facebook group by following the link on the right. Today was our last match of the season in the OKA, and after a couple of warmup games in Reading against Southampton and Woking, a rather tired looking bunch headed up to Oxford for the clash against ISIS. Things started well and we split several ends early on, with nothing much to pick between the two teams. However, the extended warmup had clearly helped the shooting and some nice longshots from Elliot and drop offs from Stu gave us a 2 goal lead going into the break. At half time they strengthened both divisions and the tempo of the game really picked up. Things got a little scrappy on our part, and they managed to convert a couple of chances to draw the scores all square with around 15 minutes to go. After a quick timeout to remind us to keep calm and and play are own game, things settled again and much needed goals from Nick and Fran gave us back a 2 goal advantage. However, they fought back once more and threatened to steal a point, getting back to within 1 with a few minutes to play. Cool heads were the order of the day and some solid defending kept them out. Things finished with us running out 13-12 winners. A good team performance and much needed points in the league, well played everyone. Goals: Elliot 6, Stu 4, Nick 2, Fran 1. Confidence was high after our semi final result, but we knew the final would be a much closer encounter against the old rivals Oxford University. We started slowly and quickly went a couple down. Despite manufacturing a steady stream of chances nothing was going in and their lead grew to 4-0 at one point. We got 1 back before half time but still had it all to do in the second half after going in to the break 5-1 down. We were the better side in the 2nd, scoring first and then capitalising on the momentum to score 4 without reply and get ourselves right back in it. With 12 minutes to play we pulled ahead for the first time in the match, but this proved short lived as they quickly drew level again, The lead swapped hands several more times and a couple of missed penalties by them left us a lifeline. The final whistle went with the scores all square. 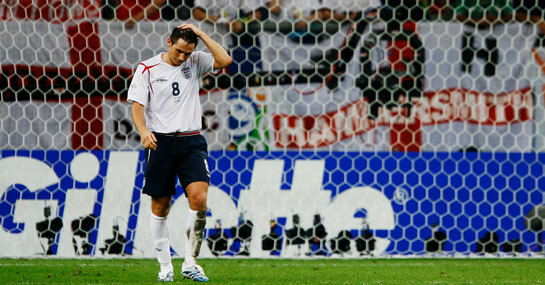 Bring on golden goal extra time… an incredibly nervy 5 minutes with some excellent last minute defending by us ruling out a running in shot that they converted. Penalties were the only option left and Oxford claimed the OKA cup 3-2. Well played everyone, a really gutsy performance where we never gave up and were oh so close to coming away with the silverware! Reading is currently playing in 2 league competitions, the well established Oxfordshire league and the newly formed Southern Counties league. The new competition includes 2 clubs that have started this season – Farnborough Jets and Southampton Spartans along with Basingstoke, Woking and ourselves. The SCKL has given us much needed extra games, and has seen many new faces representing the club for the first time. We have applied an inclusive selection policy and ensured that those not representing the club in other matches have been given the opportunity to play wherever possible. Reading currently head the table after 9 games, equal on points with Basingstoke. Southampton are a close 3rd, only 2 points back and they have a game in hand over both us and basingstoke. The next round of matches is in Reading on May 20th. Reading made a convincing showing in the OKA cup semi final against Abingdon 2 to win a place in the cup final! The match was abandoned with 5 minutes to play after an injury sustained by one of the Abingdon girls. At the time of the injury we were in front 26-3 after a dominant performance that saw goals from everyone in the team. We wish a speedy recovery to the player involved. The final is on April 29th against Oxford University. A fantastic team performance saw Reading triumph in the first Oxford korfball league match of the season, narrowly edging out an experienced Abingdon side 12-11. After the customary travel related incidents we just about managed to get the whole side to Oxford in time for the clash. The warm up was all too brief and the long summer break and lack of regular training showed as we were a little wayward with our shooting and passing. However, come game time everyone stepped up their game and the ball handling was excellent and really helped us to maintain pressure and create chances. We managed to put away a decent number of these chances with Lucy M, Lucy P, Stu and Blaggy all getting on the scorecard early in the game. At half time it was very close and we were 1 behind at 7-6. In the second half the game stagnated for a time with us dominating in defence, but struggling to convert the chances in attack. Several ends were split 1 goal each, to keep them just ahead. Eventually we managed to make the consistent pressure tell and scored the 2 consecutive goals we needed to take the lead. It was only just in the nick of time too, as seconds after Lucy M finished off a cheeky shot the final whistle blew. A solid team performance and a well deserved win – good job guys! Welcome to all the new students! Why not come and give korfball a try? We will be running a taster session on Sat October 8th, 10am to 12pm at Sportspark. Find out what the sport is all about, have a go and also meet some of the current members. Those of you who are not so new, but missed us last year are also more than welcome! The first training session of the new term is on Thurs Oct 13th 6-8pm at Bulmershe sports Hall. The first couple of training sessions will start from the basics so its a good time to get involved. All welcome – see ‘training info’ page for directions. Korfball on the beach?? 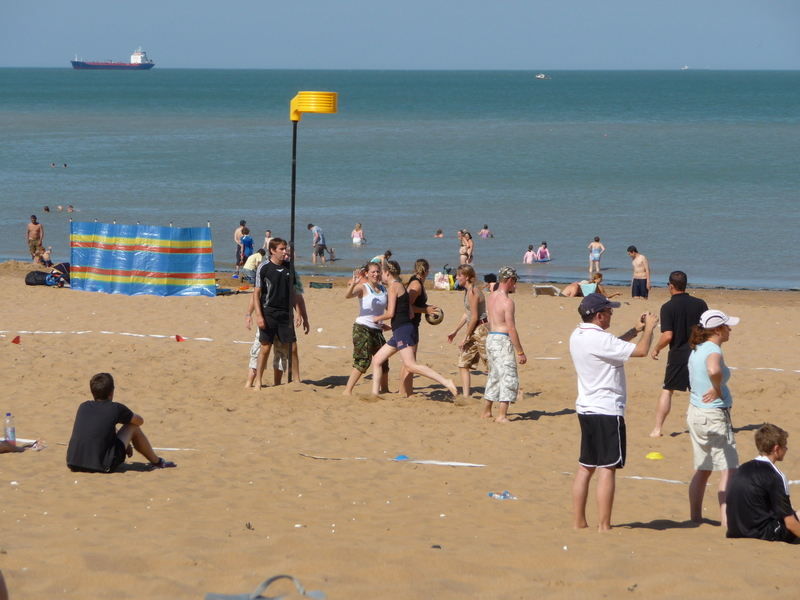 Why not – a lesser known variant of Korfball involves swapping the normal indoor courts or grass for the soft sand of the beach. With a single post and only 4 a side, its a fun but incredibly tiring version of the sport. Reading teamed up with local club Basingstoke for a day out on the Sunny Kent Coast for the University of Kent Beach Tournament. After a week of torrential rain and distinctly autumn-like temperatures, the sun came out and gave us a perfect weather for a day on the beach. We got off to a slow start and facing some strong teams we couldn’t put away the goals needed to keep up. However, by the 3rd game cobwebs had been shaken off and goals were going in from all over the beach! A comfortable 9-2 victory over Supernova did much to lift the team spirit and we built on this to wrap up the rest of the morning unbeaten. Despite feeling fairly sleepy after eating a true athletes lunch of chips and flapjack, we pushed on in the afternoon and dispatched our next 2 opponents in similar confident style. After narrowly losing out to the hosts we finished up with a draw against Highbury to round off a fantastic days play. Overall we topped our afternoon pool and finished 6th out of the15 teams, one better than last time around! Team: Lucy, Stu, Sam (Reading) Dave, Lucy Matt (Basingstoke). Everyone contributed to the goal tally including a number of bonus 2 pointers for a long shot from the corners of the pitch. Such was our deadly accuracy that even the cheeky, food stealing, overweight, rats with wings (also known as seagulls) got what was coming to them!